Other brands : Lakewood M14CP gitaar (used) app. 2007. Producten > Mandolinshop > Steelstring Guitars > Other brands > Lakewood M14CP gitaar (used) app. 2007. 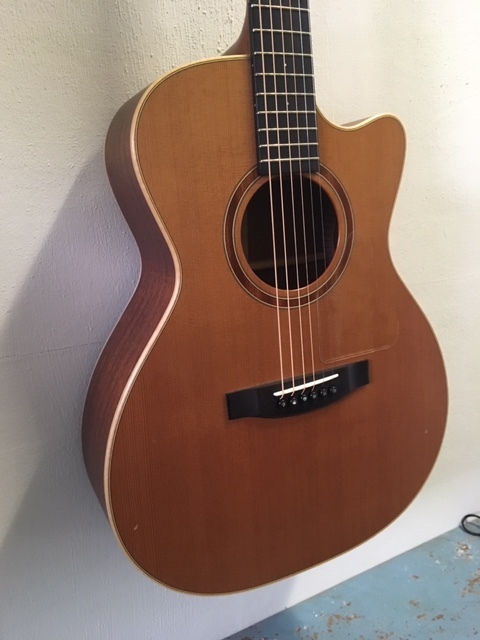 Lakewood guitar model M14CP, used built in 2007. Concert size guitar with cutaway and electronics. In decent condtion. Cedar Top, Mahogany back and sides. Ebony fingerboard. Original hiscox case.